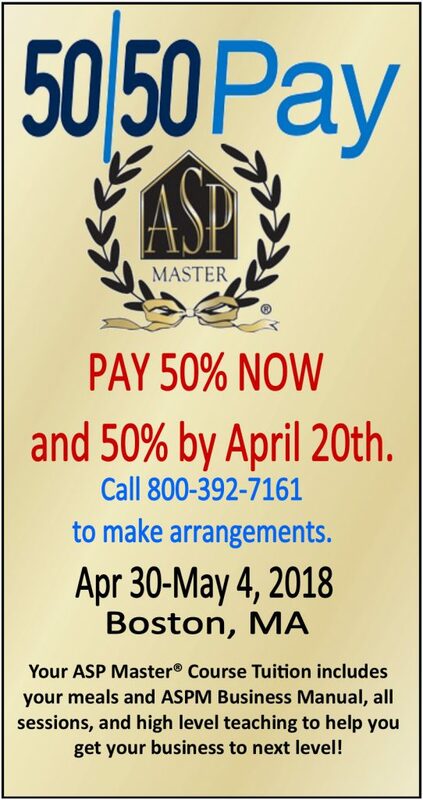 The ASP Masters Course is coming to the northeast region – April 30-May 4! Want to have a top earning business that thrives long term? Plymouth MA outside of Boston!! learn to scale your business for long term success! and have a firm foundation for longevity. 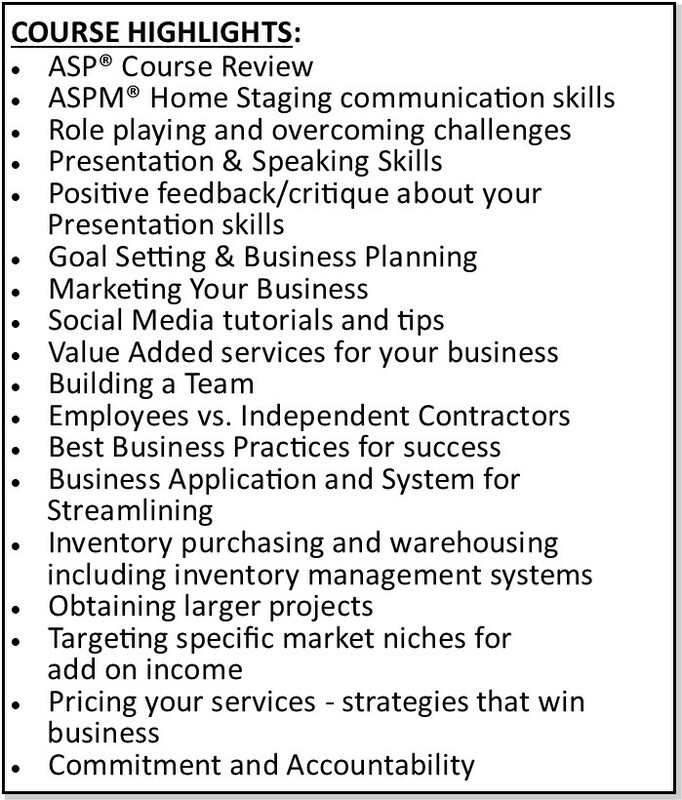 your business to help you grow and succeed. SPACE IS LIMITED! Ask about our Grant Program to help you save $$ off your tuition! You must have attended the 3 Day ASP Stager Course in order to attend the 5 Day ASP Master Course. I will never be able to thank you enough for an amazing week of learning, overcoming challenges, fears, improving communication skills, pricing our services, value our services and so much more….What they taught us in one week has given me the “ Quantum leap” in my career. This is one time life experience that I never thought would change my life and business forever. I had the most 5 important days of my educational career as Professional Home Stager. 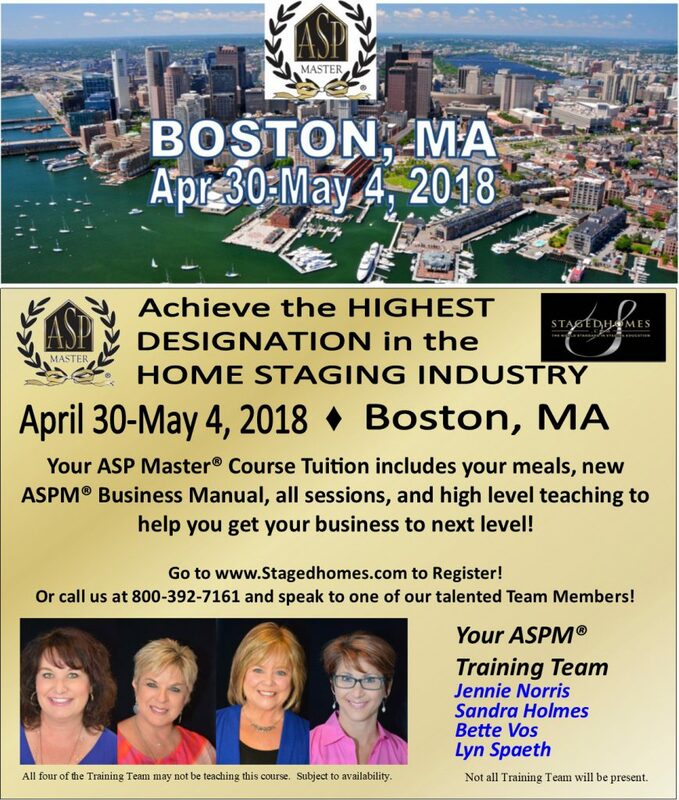 This is a must have course for anyone who wants to provide top notch quality Staging services to their clients. Even if you think you are too new to the industry or that you are in it for many years. Want to attend by need to split the payment? We offer a 50-50 payment plan for you!! Call 800-392-7161 or email [email protected] to get registered now!